Two racking systems were employed on this project, a ballasted racking system on the flat roof and an awning rack on the wall. 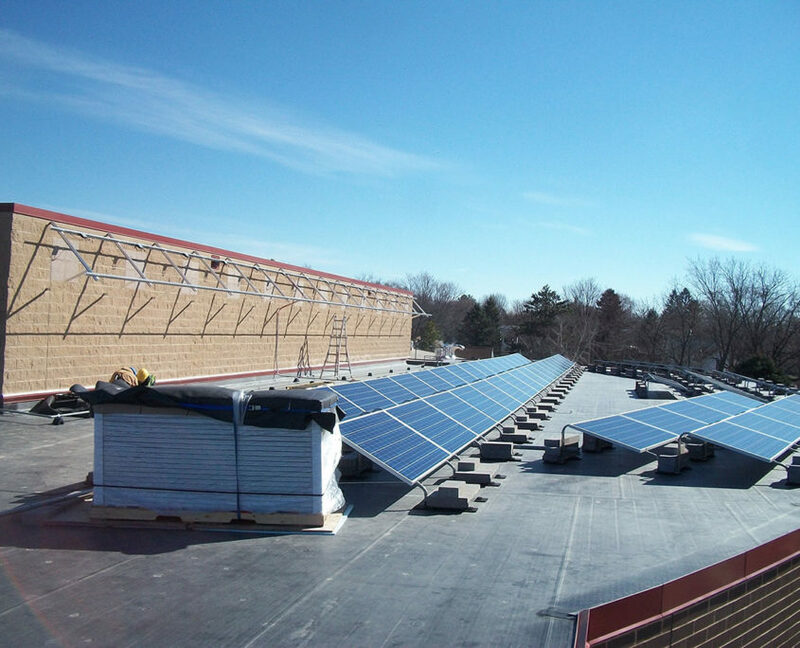 Modules are installed at several different pitches and orientations to maximize the educational potential of the installation. 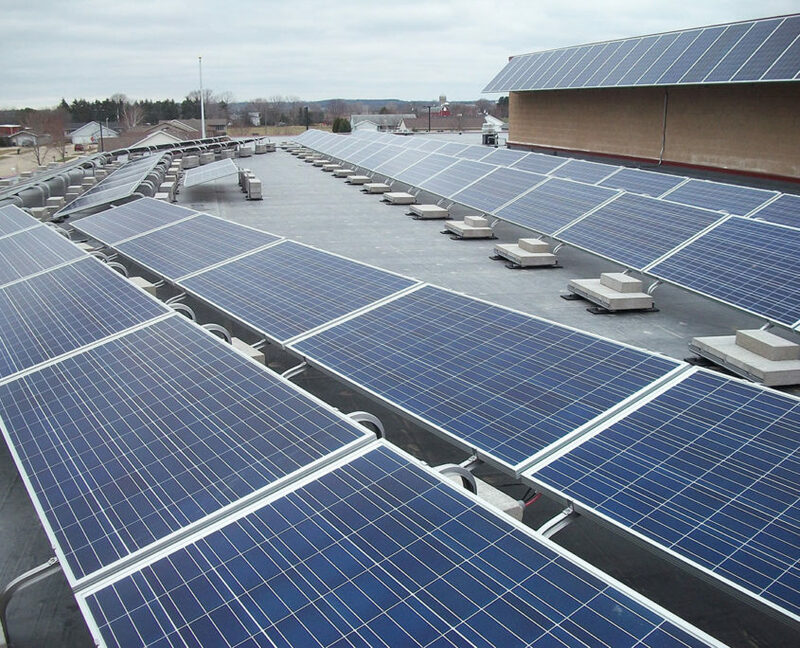 The system utilizes SolarEdge DC optimizers, each paired with two modules, to allow this unique layout. 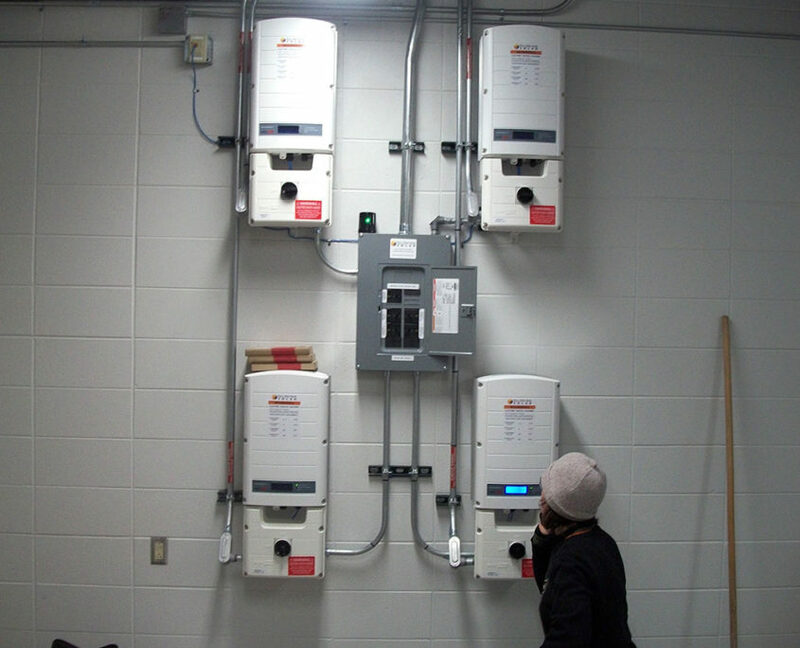 SolarEdge provides a monitoring system that allow one to see the production at the DC optimizer level, inverter level, and system level, providing detailed information for teachers to use with their students in class.